I know a while ago I did a post like this, showing some pictures I pulled off of pintrest that I've been loving, and I thought it would be fun to do again with holiday makeup! So let's get into it! Plum and purple is probably like the newest "trend" for this winter! 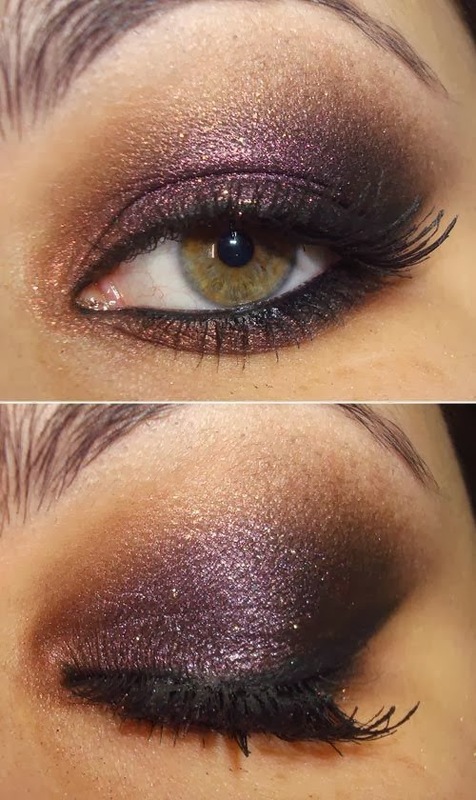 Instead of doing neutrals, I'm going to try and incorporate more plums and purples into my eye looks! I saw this picture and it is a totally gorgeous purple smokey eye that is totally wearable at the same time! I've also been loving deep bold lips and minimal eyes! I've done a couple posts recently about it, which I'll link here and here for you! Lastly, I love this because the gold is so vibrant! Haha if you read my other blog, which you should, you know that I've been reading my 2014 horoscopes and gold is my color! So I love this look so much! So those were some of my holiday makeup inspirations! Let me know if you want posts on any specific things in the comments and don't forget to follow this blog! 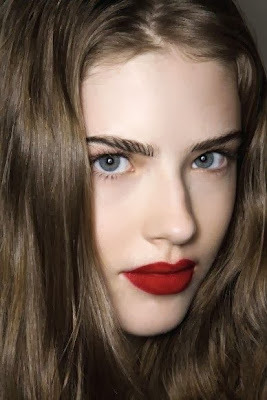 That red matte lip is SO nice! I think so too! I love reds during the holidays! I love the gold one too! It'll be stunning for a Christmas party! Haha I'm still not completely sure how to do it, but I'll try to figure it out and do a tutorial on it soon! Thanks love! I love all these looks! My favorite would definitely be the last one with the cold and purple cut crease! 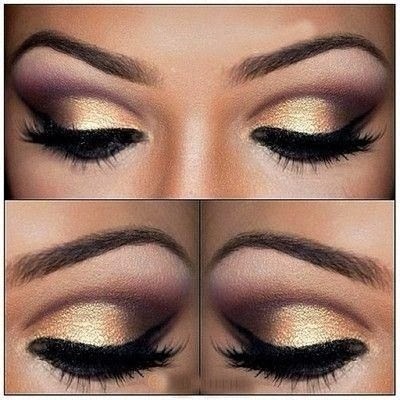 I wish I could do my makeup like that! I think so too! I'm so excited to try out some of these this winter!